Knives’ hive has really been packing it away for winter. She now has two 8-frame supers full of the stuff and has started working on the third. I had a really hard time getting the top most super off during this morning’s inspection. 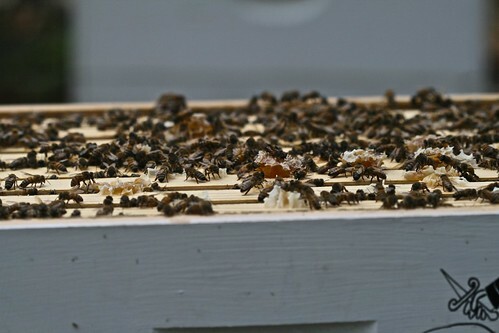 Not only does it weigh 50+ pounds, but the girls had also built a lot of comb filled with honey in between the two honey supers. 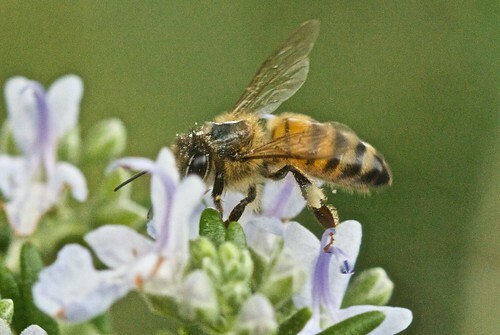 After a visit to the Lady Bird Johnson Wildflower Center last weekend, I thought I would collect as many photos as I could of bees collecting nectar and pollen. 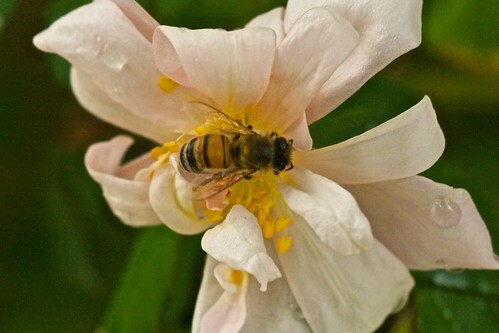 Rock Rose isn’t a true rose, but it is in full bloom right now. Kidney Wood is a native tree and the blooms actually smell like honey. 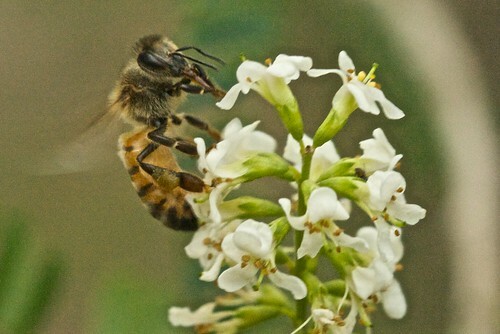 I can see why the bees love it. 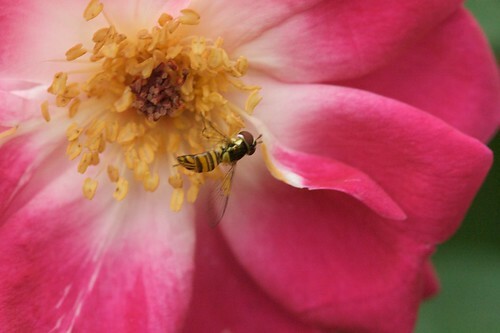 Even the hoverflies are getting in on the action. 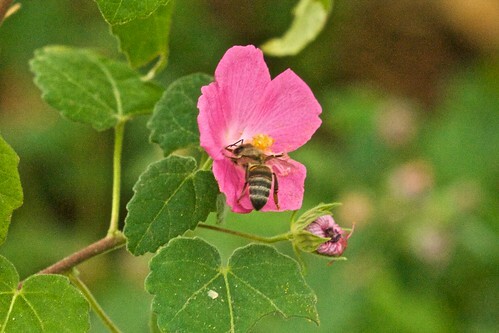 The great thing about Central Texas is the prolific number of trees and flowers that bloom in the fall. 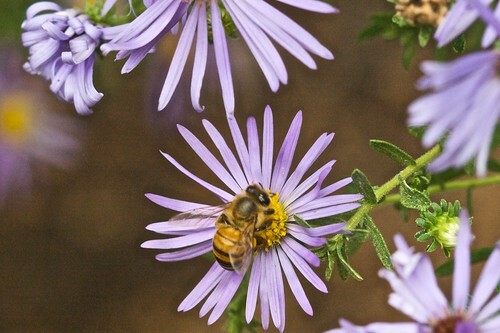 Even after a terrible summer of drought, the number of fall blooms available gives the bees a chance to catch up and get ready for the winter. Sumptuous photo essay. You have far more blooming right now in Austin than we do here. Lucky girls! 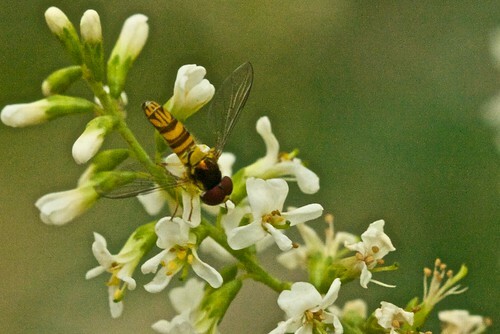 The second and last bugs on the blooms are hover flies (Syrphidae). Thanks Brenna. I updated the post with the correct information.